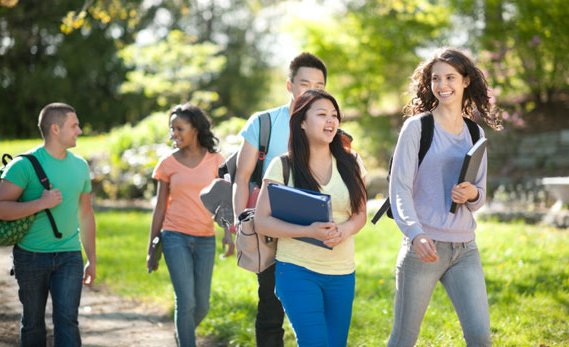 US Academic Connections offers a full range of services to students who wish to study in North America, especially in the United States. USAC partners with students to determine the best schools for their talents and abilities. USAC assists students with the often confusing and complicated application process. Individual consultations occur before, during, and after the application process to maximize students’ success and confidence. USAC aligns the applicant’s interests, aptitude, and goals with the most suitable schools to maximize your potential. We provide in depth analyses to help you make strategic decisions based on your interests and college offerings and competitiveness. Let our experts help you flourish, succeed, and graduate. The future is limitless. It’s never too early to invest in your future. Professor McAndrew provided holistic guidance for me both before and throughout the application process. With her support I pursued widely varying extracurricular activities to support my academic achievements, presenting me as a well rounded candidate to colleges’ admission committees. Very much appreciate Professor McAndrew who helped me get accepted twice to MIT, and obtain three degrees (BS, MS and MBA) in six years! It’s been my great pleasure to have Li as my advisor during my college application process. Her school suggestions considered my GPA, ACT scores, interests and my school type preference. She planned carefully for my visits to universities and interviews. Li worked very hard and kept me on track. Because of her, I even received scholarship offers from three US universities. Thank you so much Li! Li and I communicated a lot to discuss my academic and career goals and various programs that would suit me. Li provided valuable insights for improvement with my personal statements and essays. Furthermore, she instructed me on how to communicate with admission officers and program directors. She always patiently answered my questions in every aspect in a timely manner. It was a pleasure working with Li. Because of her, I got accepted to the top graduate schools, including Columbia and Northwestern. After moving to the U.S. during my sophomore year of high school, I felt completely lost when considering the college application process. Professor McAndrew’s experience and knowledge about the U.S. system were invaluable; she knew where I should apply to, and exactly what those colleges look for in an applicant. I cannot thank Professor McAndrew enough for her patience and support during high school, and it is thanks to her that I will be attending Williams College in the fall! Li was extremely patient and helpful through my entire college application process as she was always there when I had any kind of questions. With her broad knowledge of the American schools, years of experience in the admission field and living in the US, I felt really comfortable with all of her comments, suggestions and rationale. I appreciate the edits she contributed and couldn’t have completed the admission process without Li’s valuable assistance! So fortunate to meet Professor McAndrew and Ms. Ruan and have them as our daughter’s consultants. They have offered her much more than what the typical agents do as we know. We are very happy USAC is working with us to direct our child on the most important stage of her life. Ms. Ruan and Professor McAndrew were extremely helpful in my college application process. They were very good at recognizing my strengths and providing personalized guidance. They were always extremely patient, considerate and responsible. Their extensive knowledge of US universities and rich experience with college applications helped me tremendously in selecting suitable colleges, designing strategies and choosing extracurricular activities that demonstrated my unique qualities and wide interest.